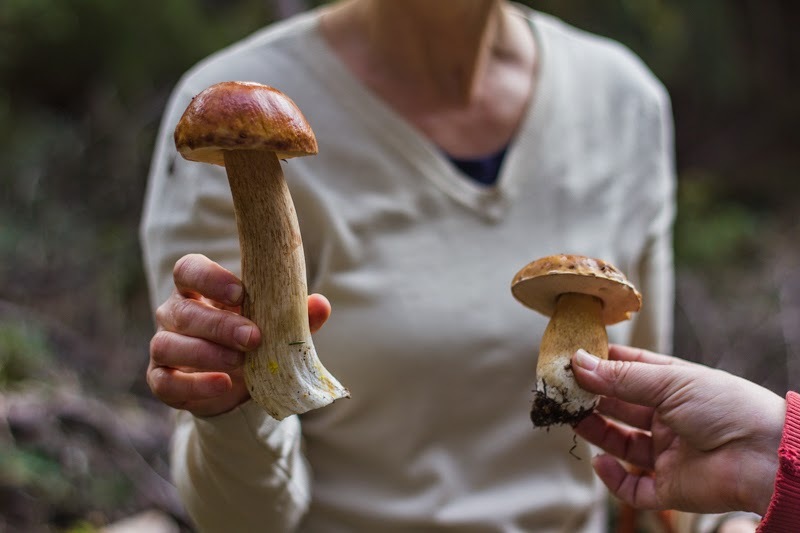 SOMA, Sonoma County Mushroom Association, holds mushroom forays with mycologist who can identity all the mushrooms found. 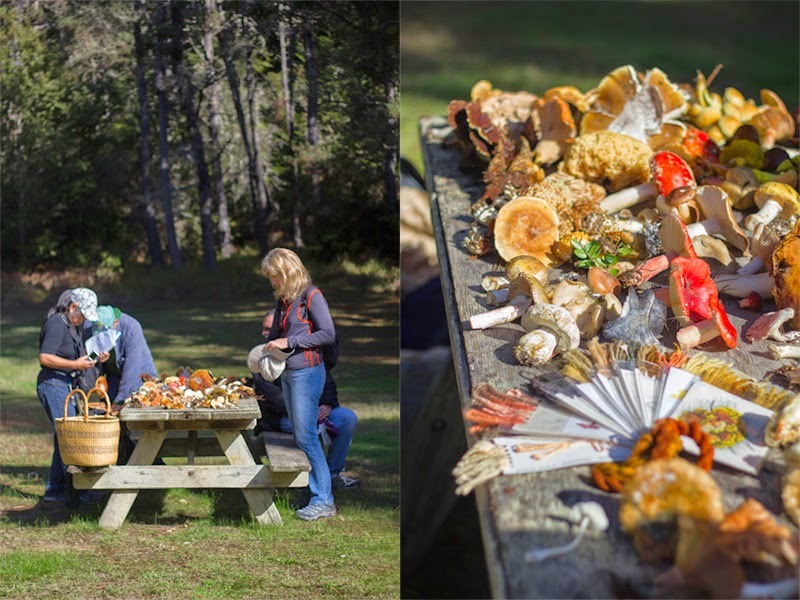 Last time we went mushroom hunting at Salt Point State Park at the Sonoma coast. 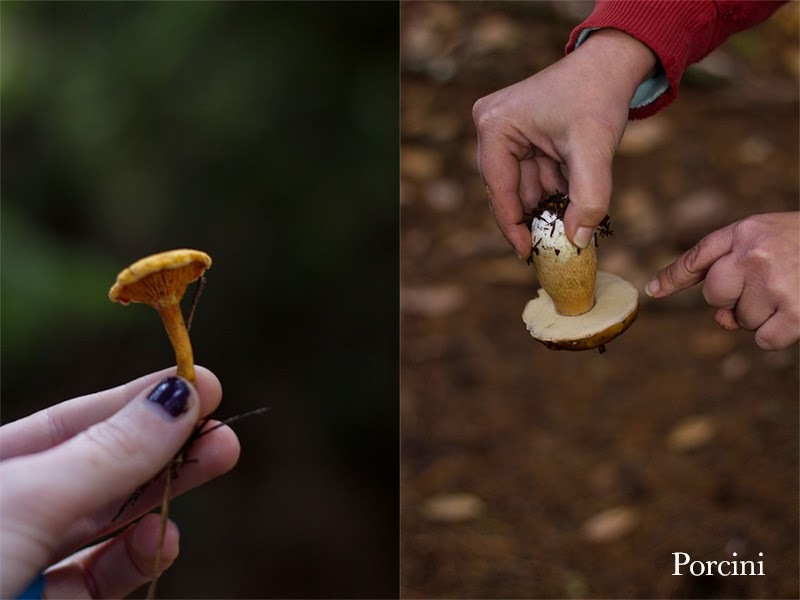 We were on the look out for Porcini's, but ended up finding candy caps, shaggy manes, and hedgehogs as well. 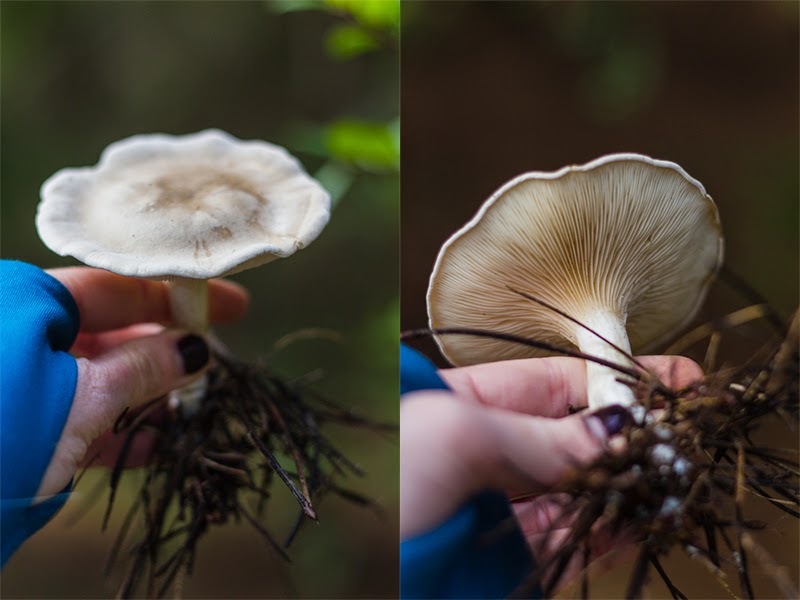 I was thrilled to find candy cap mushrooms in the wild for the first time. 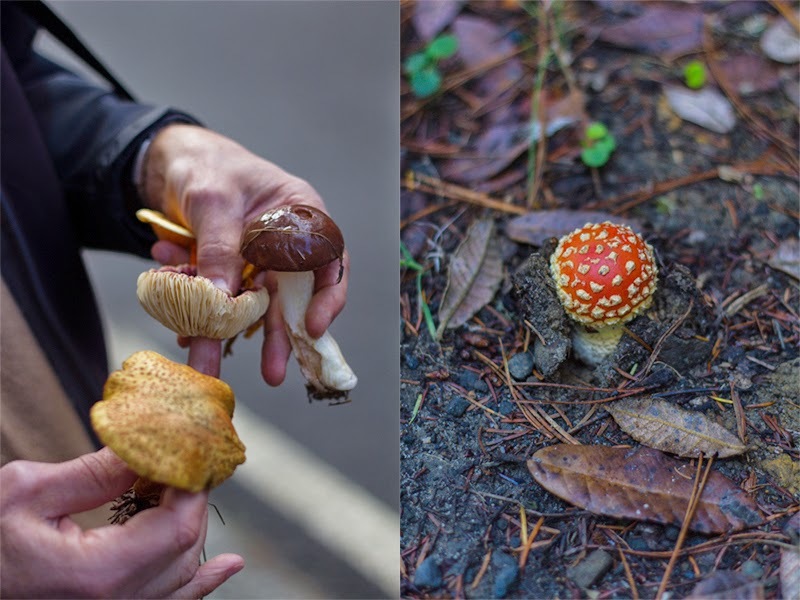 Candy caps smell like maple syrup, which intensifies as the mushrooms are dried. This time, I want to dry my candy cap mushrooms, crush them, and then add them to my holiday hot chocolate. I brought home the shaggy manes for dinner. My go to method for cooking mushrooms is to sauté them with butter, shallots, and garlic. I generally add the ingredients by feel and taste. The shaggy manes were paired with wild rice and kale sautéed in garlic and olive oil. Chop up the shallots and garlic. Heat a cast iron skillet. Once hot, melt one tablespoon of butter, and add the shallots and garlic. Mix over medium heat until the shallots are translucent, and the garlic soft. Melt another tablespoon of butter before adding the mushrooms. Heat over medium heat, mixing occasionally so the ingredients do not become overly crispy. Continue to add butter to the skillet as needed to keep the skillet greased. sauté the mushrooms until they are soft and pliable. The shaggy manes will open up and become slightly translucent when done. 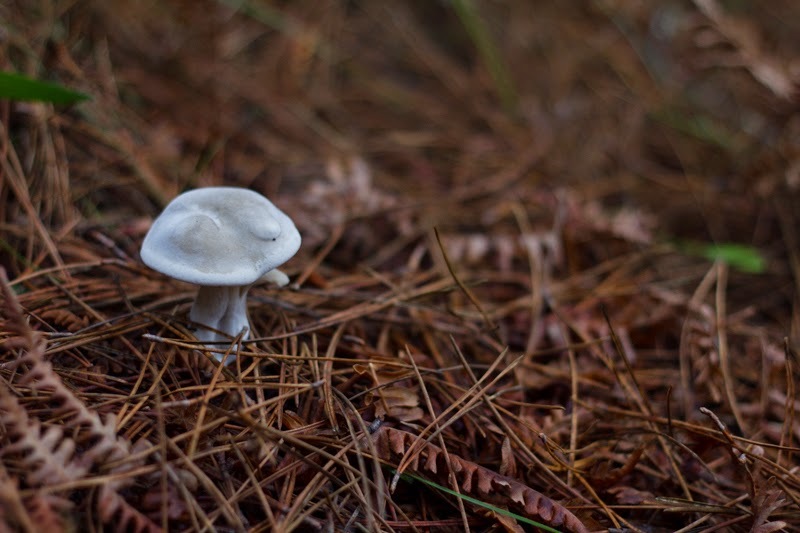 WARNING: Wild mushrooms are an amazing resource, but when foraged incorrectly can be lethal. 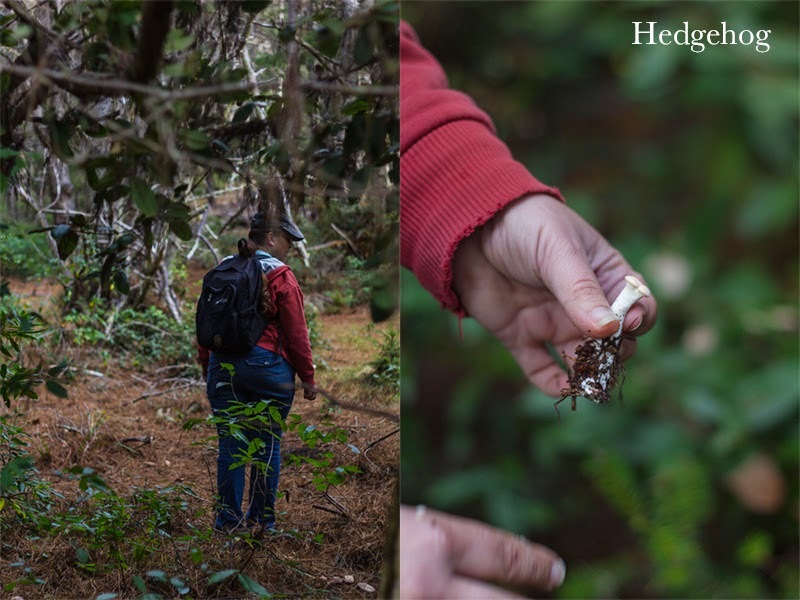 Do not forage without the supervision of a mycologist. 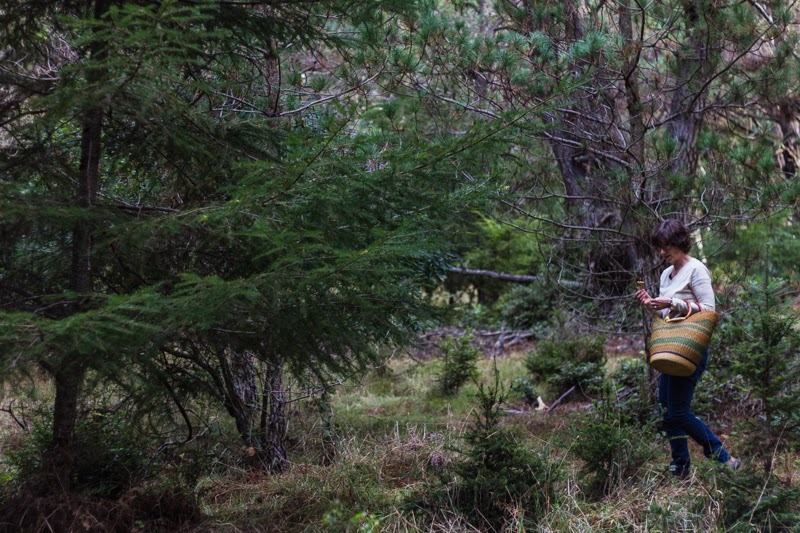 The next forage with SOMA is December 20th. 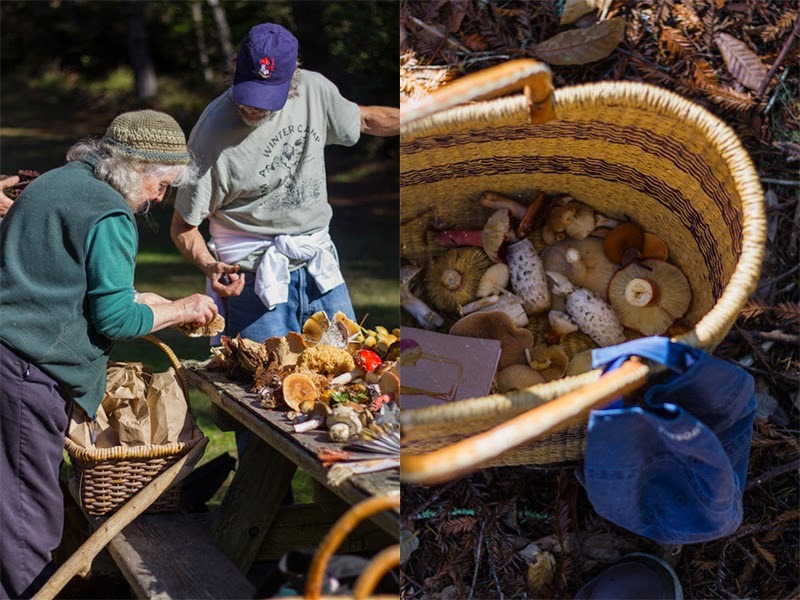 After a forage there is a potluck supplied by the members, full of decadent homemade food often full of mushrooms. 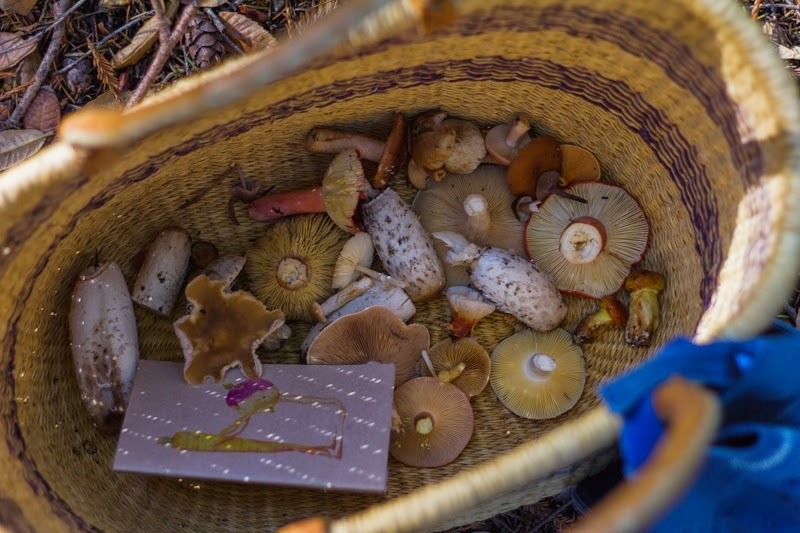 SOMA provides information on mushrooms regarding identification, cooking, dyes and paper, growing, foraging, and health. Membership is around twenty dollars. 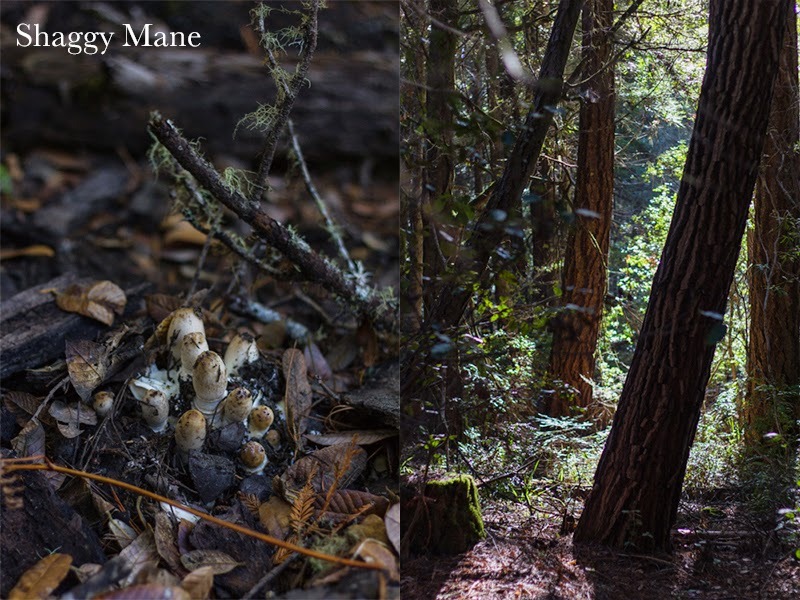 There are so many great spot for mushroom hunting in Northern California. I feel very lucky to live here.